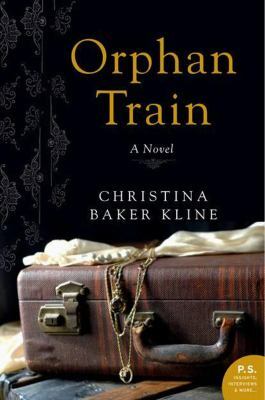 On February 18 at 10:00 a.m., the Tuesday Morning B ook Group will be discussing Orphan Train by Christina Baker Kline, a novel with two parallel stories. Vyvian, also known as Niamh and Dorothy, emigrates from Ireland to New York City with her family, and ends up on an orphan train sent to Minnesota in 1929, where she has a hard time finding a new family. In the present, in Maine, 17-year-old Molly has to complete court-ordered volunteer work and helps Vyvian sort through boxes and trunks in her attic. Molly is half Penobscot Indian, and lives with a foster family. Vyvian sees her troubled childhood reflected in angry goth girl Molly, and befriends her, telling the story of her life. On February 25 at 7:00 p.m. the Tuesday Evening Book Group is reading something very different: a book of short stories. 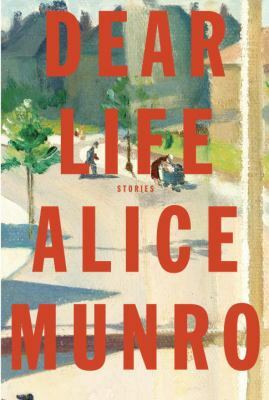 Dear Life: Stories by Alice Munro is the 14th collection of stories by the Canadian author, who was recently awarded the Nobel Prize for Literature. All of the stories are memorable, the last four stories are semi-autobiographical, and most of them are set in small-town western Ontario. Read these stories and find out why Munro is considered one of the great short story writers of all time. The Crime Readers are meeting at Home Run Inn Pizza at 7:00 p.m on Thursday, February 20 to discuss Brimstone Wedding by Barbara Vine. The Crime Readers book group is co-sponsored by the Indian Prairie Public Library. Copies of the books are available now at the Adult/Young Adult Reference Desk. Kinsey is contacted by the coroner after an unidentified body has her name and phone number in his pocket. R. T. Dace was an alcoholic who lived on the beach. Business is slow, and Kinsey is curious, so she meets his friends and looks for the reason he was thinking of contacting a PI. Her investigation reveals that Dace had recently come into some money, and leads to Bakersfield, where she meets his estranged children. In a parallel story, rule bending PI Pete Wolinsky is on his last job ever, which doesn’t end well. The reader understands there must be a connection, but it takes the arrival of Robert Dietz from Las Vegas to connect the dots. Kinsey’s elderly landlord Henry gets involved in the case, and Kinsey has some hard decisions to make. As always, Kinsey is good company and the low-tech 1980s California setting is enjoyable. “Death of a Salesman” in the desert. Alan Clay is a semi-failed entrepreneur. He has made a lot of deals and started up a lot of companies, but in the end owes hundreds of thousands of dollars to his creditors. He needs one big jackpot, winner take all sale, to make himself whole. Not only is he in debt up to his eyeballs but his beloved semi-estranged daughter will have to leave her very pricey upper crust college. So here he is in King Abdullah Economic City, in Saudi Arabia by the Red Sea, trying to sell the King himself on an IT system for the whole city which is only a quarter built and that quarter threatens to slide back into the desert wastes. The problem is that the King is a very busy man, and may come to his presentation or he may not, no one knows. Alan and his associates are stuck in a tent in the middle of half built KAEC, waiting for the King. It could be days, it could be months. This novel is a beautifully written reflection of business in the early twentieth century. People spending years and ungodly sums of money chasing a proposal that may or may not work out, but who cares since it is all subsidized by Petro Dollars, magic money that gushes out of OPEC bank accounts that make Smaug’s hoard look like “chump change”. Alan could spend the rest of his mainly irrelevant life chasing proposals, but that’s why he likes the Kingdom so much. Like him it is a place of illusions and double standards. Dark Days is a historical fiction novel about the young star-struck lovers, Ishmael Dade and Denise Donaldson. Their story begins in the South close to the time of World War I. Ishmael is black and works as a servant in a white household and Denise is an heir to that estate. Thus, readers know from the onset that the odds are against a lasting relationship between these two bright, passionate young adults. Despite the reality that discriminatory practices, individual racism, and other external factors are constantly working against their union, the couple’s unconditional love strengthens over time. Author Dewey Roscoe Jones creates a strong sense of place both here in the United States and abroad in war torn France. Everywhere Jones takes his readers—from Muskogee (Oklahoma), to Chicago, to France—there is a ubiquitous division between the Haves and the Have-Nots. He describes how people with the most power brutally suppress those who are at a disadvantage, patriarchal leaders hinder the ambitions of women and children, Northern city slickers take advantage of those who recently fled the rural South, U.S. Army officers exploit soldiers, and medical professionals maintain a system that prevents care to the most needy. But as is true in all historical periods, there are exceptional people who go against the grain and strive for equity. These individuals and groups provide hope, humor and a belief in goodness; thankfully “Dark Days” has such characters. For example, Hattie, Ishmael’s surrogate mom represents courage, wisdom, and forgiveness even though she has witnessed injustices and atrocities that could have left her weak, cynical, and spiteful. This is definitely a character driven story. The strong willed protagonists that struggle to make it through an unimaginable way of life make this book a real page-turner. I was caught by surprise more than once when I planned to set the book down after completing a particular chapter and the next thing I knew I was in the middle of the following one! This novel makes for a great discussion, because many of the events that take place can be viewed as either a triumph or a tragedy depending on the readers’ perspectives and interpretations. “Dark Days” is a story of characters being caught between two worlds. A suggested read-alike book is the international bestselling saga “The Far Pavilions” by M.M. Kaye. It is the story of two 19th century star-crossed lovers—Ash, an Englishman who was raised as a Hindu in the Himalayan foothills, and Juli, an Indian Princess who must choose her own destiny. Like “Dark Days,” it features issues of class and race. It also depicts characters that are at odds with their society’s norms. At the end of 2009, Lu Ann Cahn is feeling stuck. She’s happily married, on good terms with her grown daughter, a long-time cancer survivor, and respected for her work as a news reporter in Philadelphia. But still, not happy. And also not happily embracing new technology or social media. So she begins 2010 with a project to embrace and blog about a Year of Firsts. For 365 days in a row, she tries something new, or something (like hula hooping) that she hasn’t done in over a decade. Her firsts include: a polar bear plunge, taking a ballet class, baking a chocolate cake, zip lining, using an ebook reader, paying other people’s parking meters, sewing on a button, and going to the opera. Some were fun, others took more daring, some days weren’t very successful, but every day Lu Ann tried something new. She learned to embrace change, say “yes” more, got recharged and changed her life in surprising ways. Read more about her firsts on her website, and link to short video clips of her experiences. Looking to make 2014 different from last year? Lu Ann’s book may inspire you to embrace change, too. This novel takes place in Paris, France in 1929. The main character is a American “down at his heels” Private eye named Harris Stuyvesant. He is currently in Paris on an assignment to find a missing American young woman who has not contacted her parents in months, which is totally out of character for her. The parents want her found and contract with Stuyvesant to find her. Paris during this time seems to be one big Party/Pick up scene. In the course of his investigations, Stuyvesant encounters some big name American expatriates including author Ernest Hemingway and photographer Man Ray. Besides the investigations into the American girl’s disappearance, we are also treated to some of the more morbid history of Paris, including mass cemeteries, Catacombs, the Danse Macabre (The Dance of Death), Adipocere (wax made from human corpses), the Theater du Grand-Guignol in Montmartre (where murders are staged to shock and amuse the audience), and a number of gruesome suspects. Is it the Avant-Garde photographer who favors pictures of tortured/dying women, or is it the timid bone collector who keeps vats full of corpses being aided in decomposition by flesh eating beetles? Or is it the famous respected Count, a wealthy French hero of World War I, who runs the Theater Du Grand Guignol for the amusement of his mass of jaded followers? This is a superbly written, darkly disturbing book.